I am creating a series of Google Earth labs to use with my middle school Earth Science textbook Earth Science: God’s World, Our Home. For the most part, these labs could be used with other textbooks as well, though I do occasionally refer to figures or pages in my textbook. At this stage, I would love feedback on the labs. The feedback could be in regard to the simple Google Earth interface I am using, which involves navigating from placemark to placemark, or it could be in regard to the actual content of the lab. This is a .zip folder, which can be extracted (on a PC) by downloading it then right-clicking on it and selecting “Extract All…” The extracted file will be named earthscience_googleearthlabs.kmz. Double-click on this file to open Google Earth (if you have Google Earth installed on your computer). I take the students on a tour, which they do by double clicking on links in the Places pane of Google Earth. In this part, students will be reviewing what they have read in the textbook about various landforms. In the second part of the lab, I will again take students from placemark to placemark, but this time they will name the landform and sometimes answer a question. In the third part, I will take the students to a location, and have them create placemarks for various landforms. Most of the labs are designed to be completed in about an hour. Reasons to Believe (old-Earth Christian apologetics organization of Hugh Ross et al.) has a nice review of my new textbook Earth Science: God’s World, Our Home. Thank you to Dan Bakken for taking the time to review the book, and to Reasons to Believe for publishing the review. 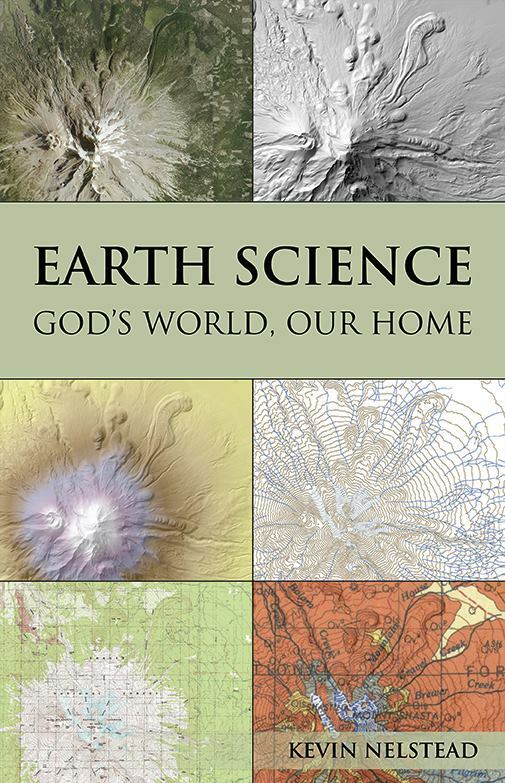 Earth Science: God’s World, Our Home from Novare Science and Math has a cover!